HourGlass has a simple, user-friendly interface to make time tracking, project management and administration a breeze. Interface optimally adapts to mobile device screens. 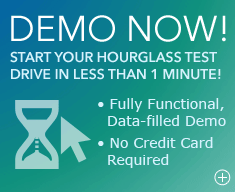 HourGlass can be used in English or French, allowing users to view the platform in their preferred language. Your data is stored securely at our datacenter, and the application itself is encrypted, giving you better protection than the average bank vault. Our platform is supported by a team of experts based in North America. We are just a click or a phone call away and are dedicated to responding to your needs quickly and effectively. 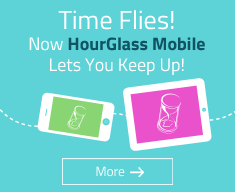 HourGlass is routinely updated with new and improved features and functions. We listen to your needs and review all feature requests from our users with careful consideration. Managing employees across multiple locations and time zones was never easier. The system accounts for employees making entries in their local time zone, giving you greater control over your billing cycle. 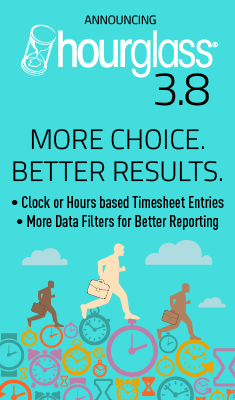 The HourGlass platform gives you the ability to customize access to reports, timesheets, task management and other features according to your company hierarchy. Email notifications can be enabled to be automatically sent through the system when tasks are created and/or completed. Reviewing timesheets, billable ratios, expenses or tracking budgets are just some of the many reporting functions supported by HourGlass. Reports can be viewed as HTML or Microsoft Excel documents, to give you maximum control over your data. Creating, modifying or completing tasks, milestones and deadlines is a breeze with HourGlass, and the Task Manager Upload feature lets you upload a task spreadsheet directly into the system.